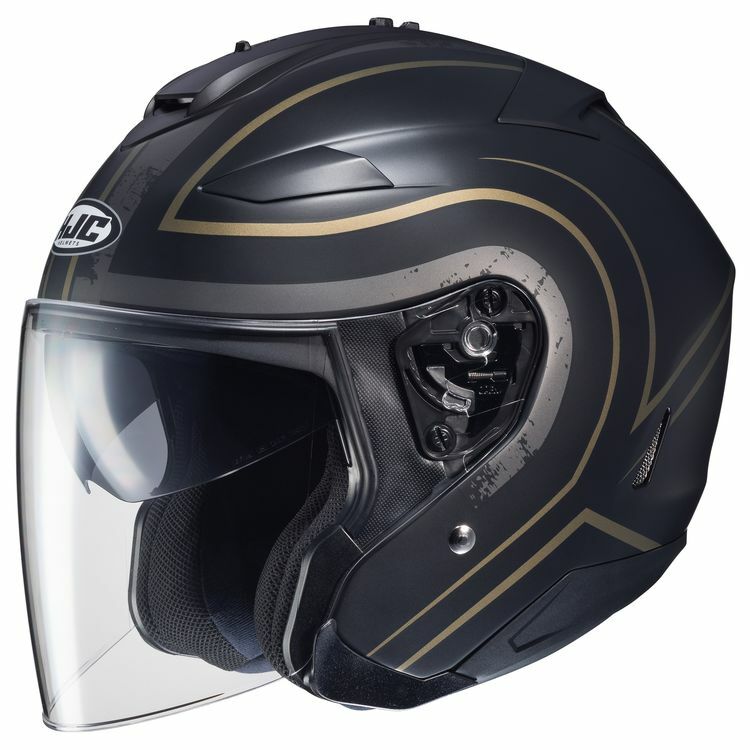 The IS-33 II Helmet from HJC is an open face helmet that packs a punch. The aerodynamic polycarb composite shell has a large eyeport for superior visibility. The internal sun shield easily depoly and adjusts to 3 positions. The HJ-17R face shield swaps out quickly without any tools. Does this have pockets for ear phones? BEST ANSWER: Yes. I use the Scala PackTalk and the speakers fit perfect.